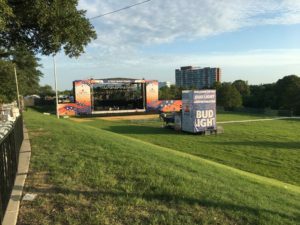 Reelsound plus KTRK Equals “Freedom Over Texas” – Reelsound Recording Co.
2017 Freedom Over Texas Stage. 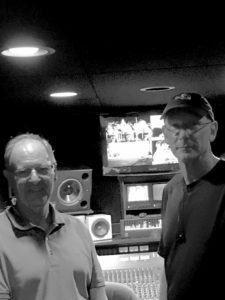 It was the 27th year that Owner/President Malcolm Harper provided the music mixing services for Houston’s “Freedom Over Texas” July 4th broadcast. Harper was music broadcast mixer for “Hunter Hayes” and “DNCE” performances carried by ABC/KTRK-TV. Reelsound’s crew was headed by Greg Klinginsmith assisted by Carl Harper and Mason Harlow. Rick Herring from KTRK was video director with facilities provided by Lyon video. Music Broadcast Mixer Malcolm Harper and Video Director Rick Herring.